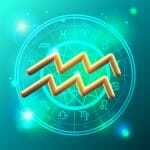 AstroTarot Readings by me; Tracy Fance Clairvoyant-Medium are a combination of your astrological birth sign, the tarot plus my psychic insight to give you some guidance for the month ahead. It is free to receive & I’d love you to share it with anyone who you think would be interested. Have a fantastic month.